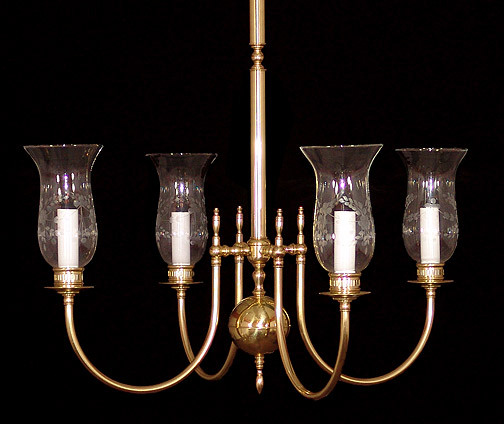 This lovely 4 arm Hurricane chandelier sits nicely over your smaller dining table or kitchenette. Perhaps a matching 6 arm for your formal dining room? Certainly a Colonial period chandelier to remember. Larger versions are quite suitable for the more formal and demanding location. Etched Hurricane glass works well here.